Eat17 28-30 Orford Road, E17 9NJ. Beautiful bar and restaurant in the village. Well selected wine list, Meantime on tap and seasonal cocktails. The Bell 617 Forest Road, E17 4NE. 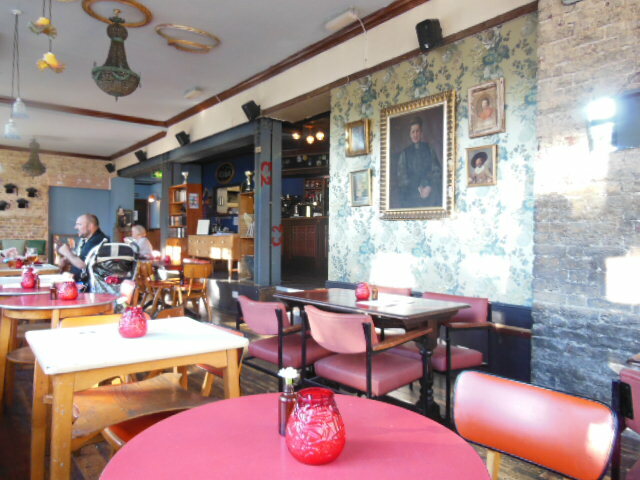 Gastropub menu – Sunday roasts, weekly changing menus, burgers. Wide range of real ales, craft beers, ciders and wines. For the no-alcohol drinkers there’s a wide variety of Luscombe juices, tea/coffee and alcohol-free beers. Big secluded garden, private function room, reliable free WiFi and comfy sofas. Monthly jazz on Sundays, Ukulele Weds and popular quiz night every Tuesday. Host the monthly E17 Cook Book Club. The Castle 15 Grosvenor Rise East, E17 9LB. Village pub. Monthly changing menu concentrating on seasonal ingredients. Really good fish dishes and award-winning Sunday roasts. Real ales and wine choices. Hidden beer garden at the back of the pub, log fire for winter evenings. The Chequers 145 High Street, E17 7BX. Battered leather armchairs & vintage decor. Real ales and a decent wine list. Sunday roasts, steaks, burgers, Cornish day-boat fish & chips. Good weekday deals on the food. Extended beer garden area for summer BBQs in the summer. The Coppermill 205 Coppermill Lane, E17 7H. Traditional East End pub. Outside drinking area and quiz nights. Good for a pint after a stomp around the marshes. 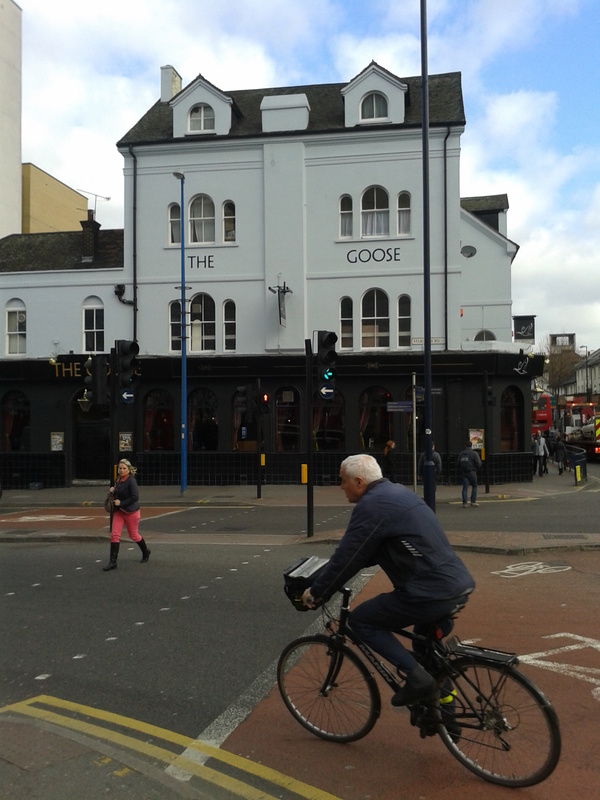 The Goose 264 Hoe Street, E17 3AX. Another recent refurb, but still firmly a sports and pints pub. Range of beers, average pub grub of scampi & chips, pies and sausage & mash – good value food and drink deals. Sports on the TV and loud at the weekends. Mother’s Ruin Gin Factory Unit 18 Ravenswood Industrial Estate, Shernall Street, E17 9HQ. A tiny cocktail bar selling award-winning fruit liqueurs so local that they are produced onsite in an old WW1 munitions factory building! Open at the weekend. Foodie pop-ups. The Queen’s Arms, 42 Orford Road, E17 9NJ. Large village bar, dining room and beer garden. Frequently changing and daily menus. 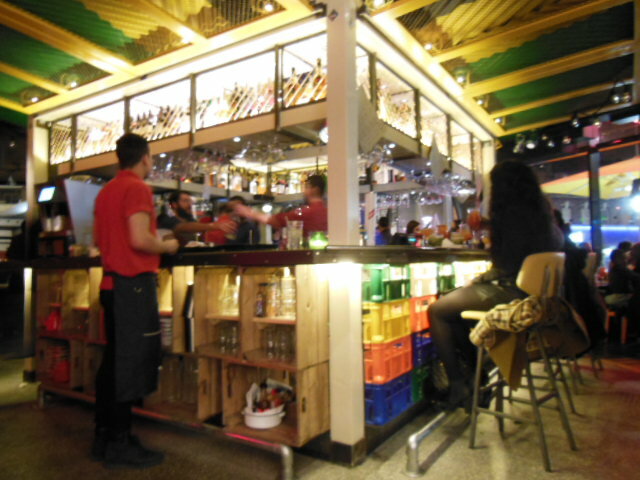 Turtle Bay The Scene, Cleveland Place, 269 High Street, E17 7FD. Loud and fun Caribbean bar and restaurant. 2 for 1 Cocktail happy hours every day. The Village 31 Orford Road, E17 9NL. Large beer garden, quiz and poker nights and real ales on tap. Wild Card Brewery Unit 7, Ravenswood Industrial Estate, Shernall Street, E17 9HQ. Another bar in the industrial estate, also home to Europe’s largest collection of neon lighting at God’s Own Junkyard. Local micro brewery with a bar serving a range of bottled and cask beer from Wild Card Brewery & other London breweries at very reasonable prices. Delicious street food often outside. 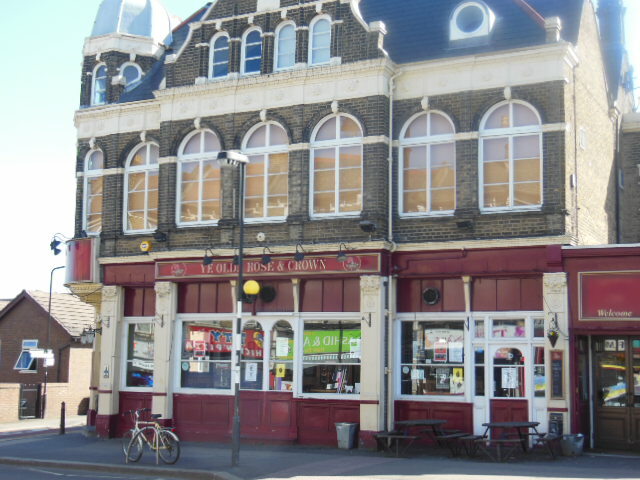 Ye Olde Rose & Crown Theatre Pub, 53 Hoe Street, E17 4SA. CAMRA (Real Ale) award-winning local – range of ever-changing real ales, regular live music. Fringe comedy and theatre nights upstairs. Street food stalls outside during the week, and the landlord’s great value Sunday lunch. I’m glad that you don’t list The Nags Head – HIGHLY overrated locally I feel. i have never felt so unwelcome in a drinking establishment as I always do there!! dont like their table cloths – have they gone yet? Love the new refurbishment. Food needs a bit of love and passion. Might add the goose to my list. I love the Nags Head! Cuddly cats & draught Hoegaarden what more do you want? dont like their tablecloths! are they still on the tables? Oh and I’m glad you don’t list the Castle (aka The Creche). No wheat beers, and the food is average and overpriced. Not good. You have mentioned Turtle Bay many times across your site, and I’m stating up front that I have never eaten there, and my reason is I try and avoid restaurant chains, they are a plague ! They move into an area, and price out local independent restaurants …surely they are the antithesis of what this site stands for: promoting local places, that grow based on personal recommendations, and not those that have access to chunky advertising budgets !